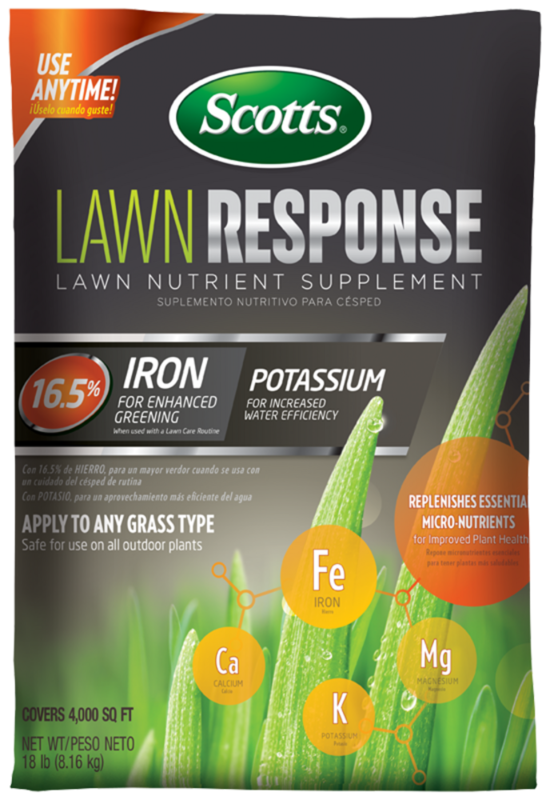 Scotts® Lawn Response™ Lawn Nutrient Supplement is designed to replenish essential micronutrients for improved plant health. Safe on all grass types and outdoor plants. Nitrogen free formula is compliant for use anytime throughout the year, even during blackout periods. Produced in Florida for Florida. Safe to use on any grass type and outdoor plants. Use Scotts® Spreader to apply to lawn or outdoor plants. Apply only to actively growing turf. Apply any season, ideal for late spring and summer. Best when used in between spring and fall feedings. *Available in Select Florida Counties. Check your local retailer.